Vehicle maintenance and repair is a frustrating responsibility that uses up your valuable time and diverts your attention away from the important task of managing your business. You make money by attending to your business – not fixing cars and trucks. We will work with you to establish service schedules that meet your budget, your schedule, and your needs; because we realize when your fleet is down you are not making money. Argyle Auto Care’s Fleet Services can save you money because proper fleet maintenance and repair reduces expensive down time. Lost time becomes lost income and lost profitability. 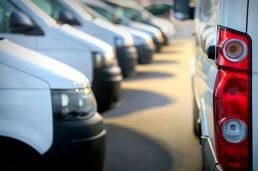 And Argyle Auto Care’s Fleet Services offers a maintenance program tailored for your fleet. At Argyle Auto Care; your complete automotive care center in Argyle, TX we install only quality replacement parts. Give us a call at (940) 464-3131 and let us help keep you safely and economically on the road. We serve Argyle and the surrounding areas.